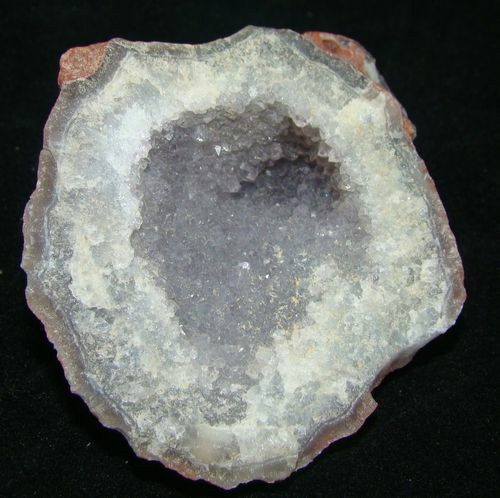 Geodes - What's going on in Mr. Solarz' Class? We spent a half hour cracking open some geodes just for fun today! We learned how they were made geologically, and we were excited to see the crystal patterns inside! Thank goodness we had protective eye goggles, because the students got quite a bit of their anger out on those rocks with some hammers! We spent some quality time smashing rocks with hammers during our last week of school. 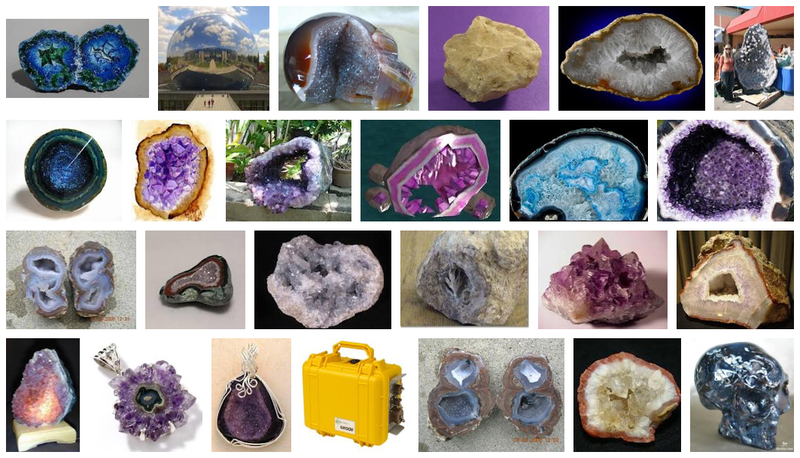 We were in search of geodes (like the ones pictured all over this page!). All of us managed to break one open and take them home! Some were filled entirely with crystals (with no center space), while others had a beautiful opening inside which allowed us to see the crystals in even more detail! 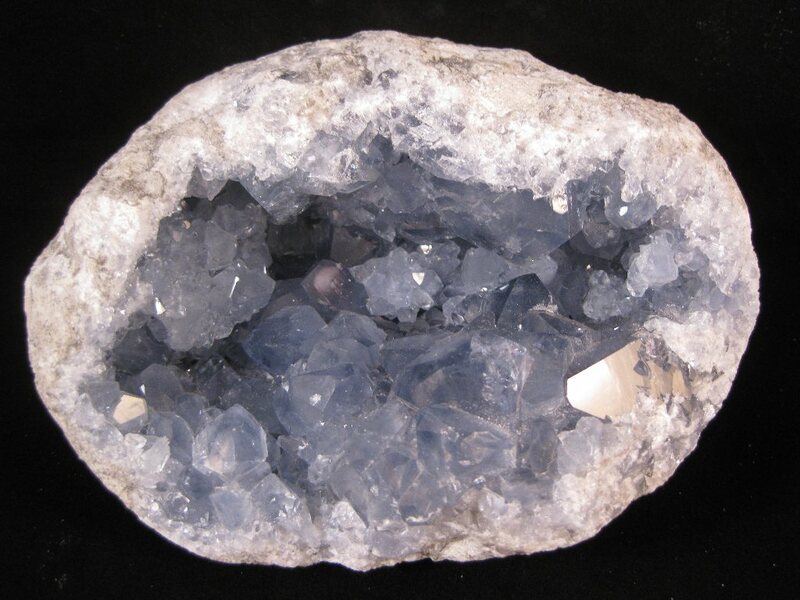 Above and below: The quartz type of geode is what we spent our time breaking open. 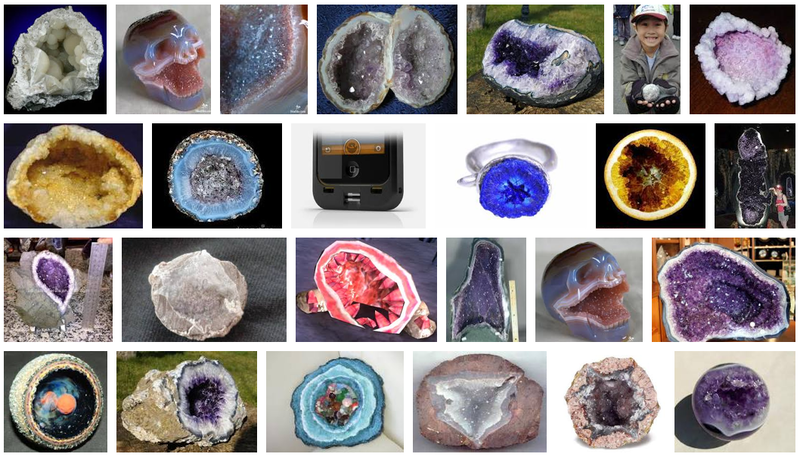 Although there is no true color to them, the crystal structure is definitely beautiful!